Courtesy of Tina D Greene, Irongate Inc..
Rare! 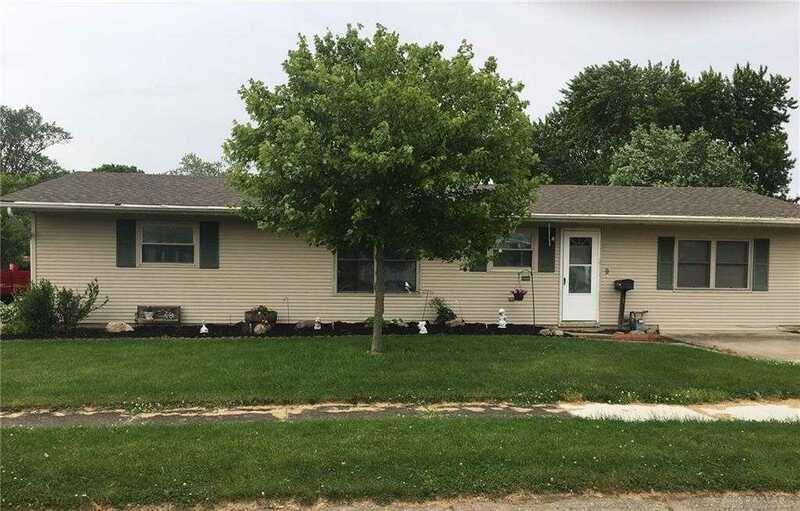 Spacious ranch with 4 beds, 1.5 baths. Mother-in-law suite with 1/2 bath. Central air & heat. Sits on a cul-de-sac w/2 driveways. Close to school & park. Smart thermostat. New 1.5 car garage w/separate electric box. Newer furnace/water heater/softener/roof. Insulation in attic/foam insulated walls & a fenced in backyard. Owners are leaving fridge/range/dishwasher and beautiful electric fireplace. Some updates include: 200 Amp electrical service, fully fenced yard, central air, 2017 furnace, paver bricks in back yard attic insulation 18, 2015 foam insulation in exterior walls, water heater, den addition, separate circuit for dishwasher and bathroom, new door & storm in kitchen living room & family room, windows in dining and family room, faucets in both baths and kitchen, water softener, new roof in 2012, ceiling fans and secondary light switches in hall & kitchen, 2014 new garage addition w/separate electric and breaker box 2015, Smart Nest thermostat 2018, front sidewalk 2018. Directions: Rt 35 W to left on Western – home is on the left, sits on a corner lot. Please, send me more information on this property: MLS# 783218 – $129,900 – 9 Western Drive, West Alexandria, OH 45381. I would like to schedule a private showing for this property: MLS# 783218 – $129,900 – 9 Western Drive, West Alexandria, OH 45381.